Animate It! 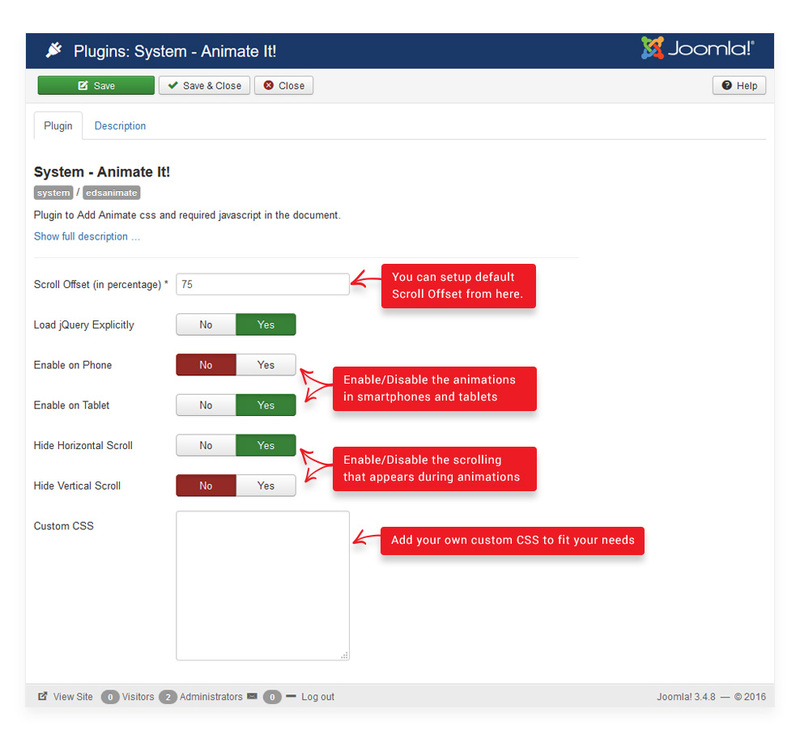 is a Joomla Plugins set designed and developed to provide an efficient and user friendly solution to apply beautiful CSS3 animations on Joomla Modules and Articles. Allow user to add animation on modules. 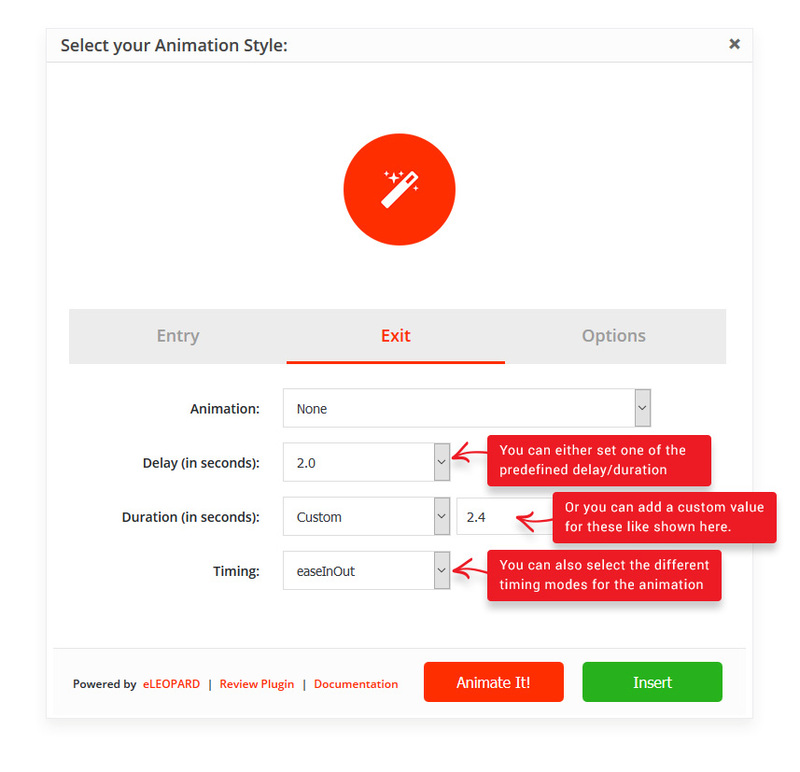 All the CSS3 animations are from Animate.css and Animo.js. 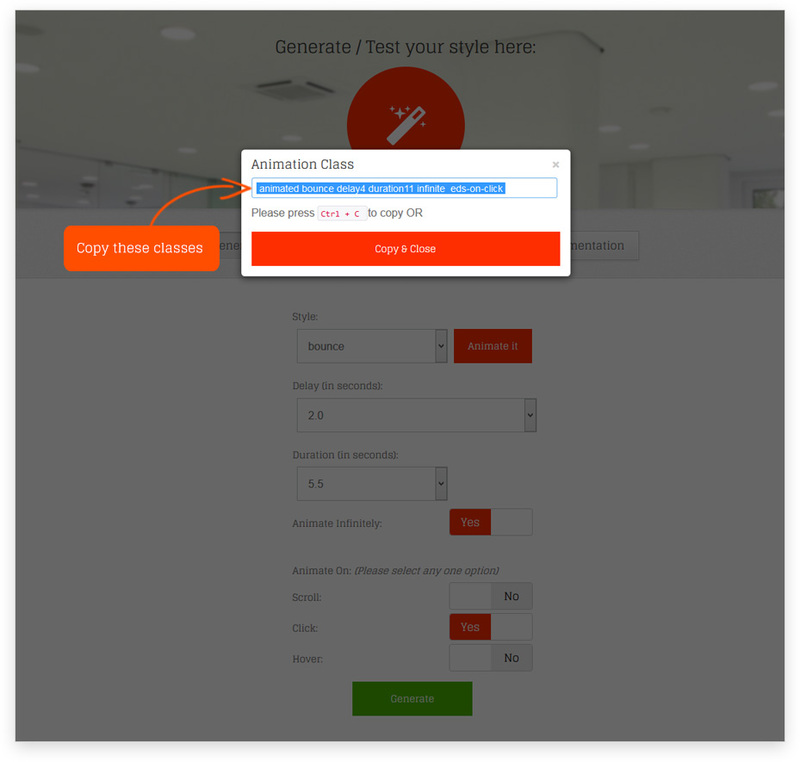 Animation can be added on Articles/Modules Using Animate It! button at the top of editor. 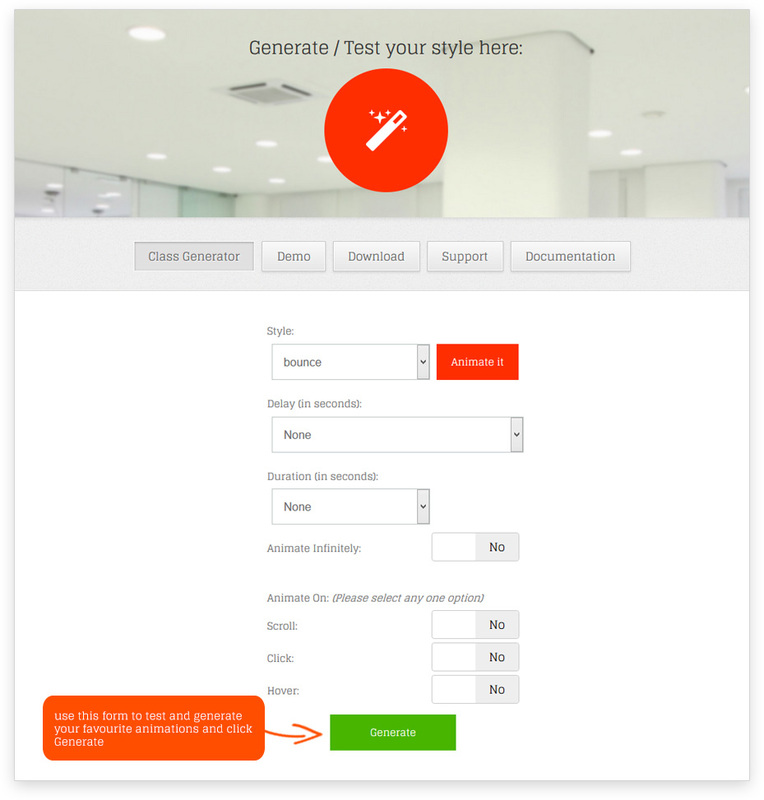 Content/Articles: Using Animate It! button at the bottom of editor. 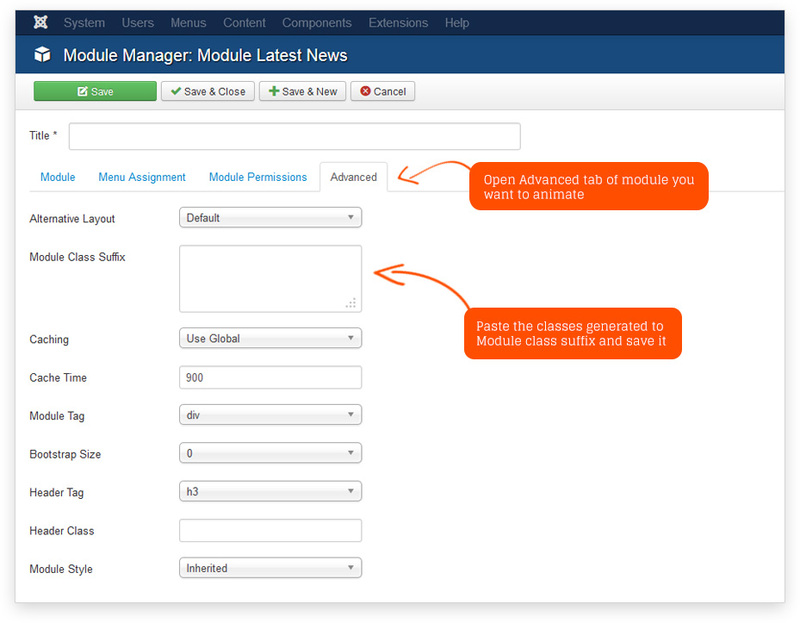 Modules: By adding CSS classes to "Module Class Suffixes"
Step 2: Install the Animate It! 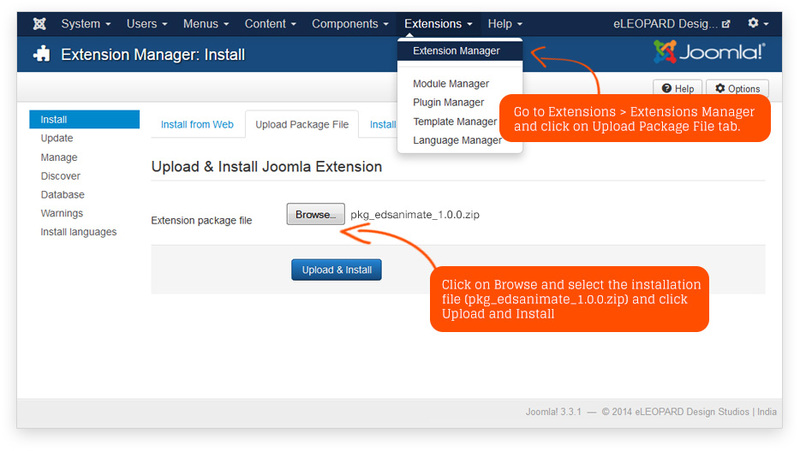 Plugin using the Extension Manager. Voila! animation is successfully applied to the selected module. 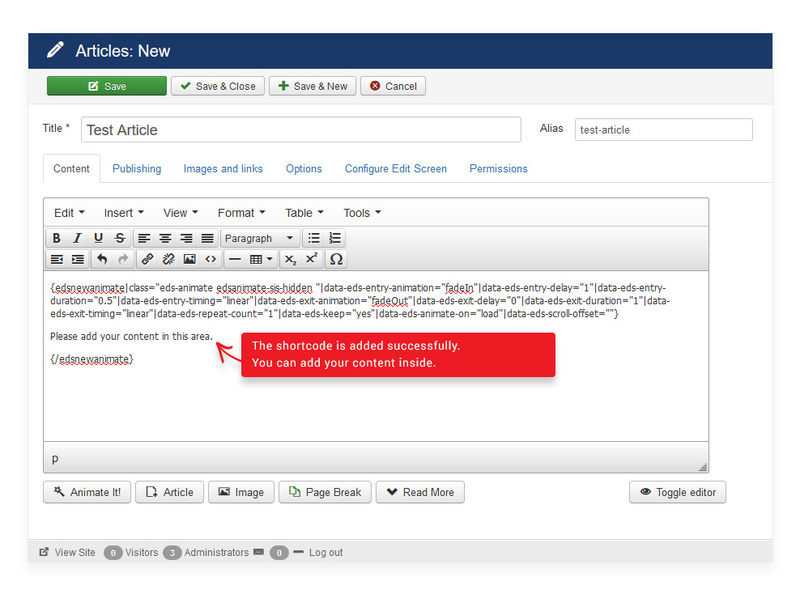 Note: You can Copy and Paste these blocks to your Custom Text module as well. 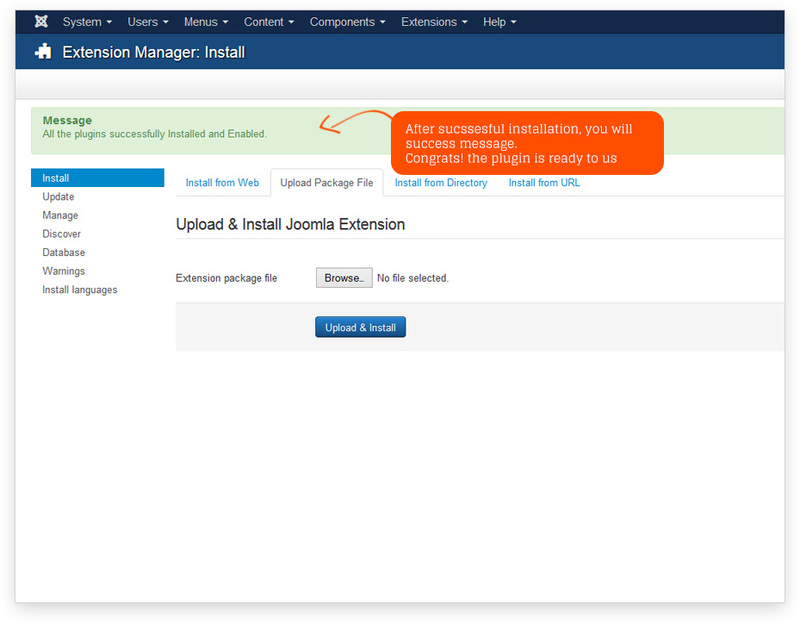 Got to Extensions -> Plugin Manager -> System - Animate IT!. Change the provided settings as per your requirement. 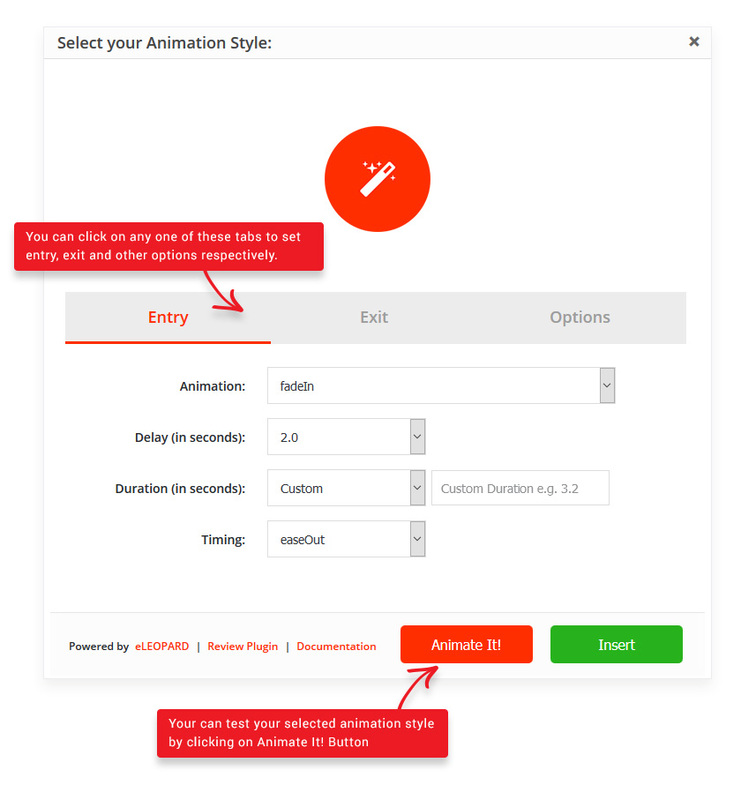 Pleas note that global setting for "scroll offset" will get applied on animation blocks whose individual "scroll offset" setting is not defined. 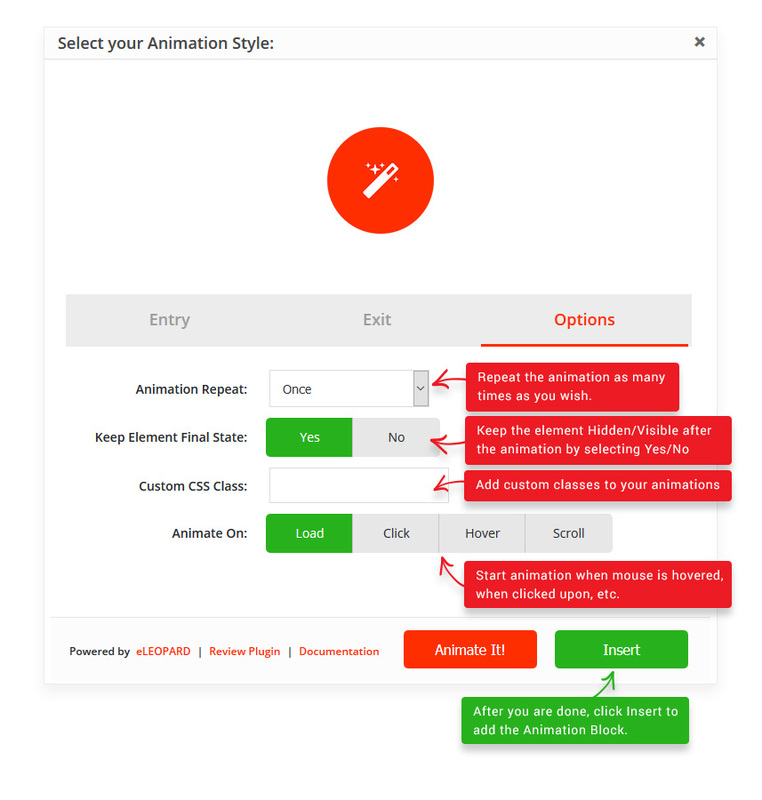 When using Animate It! 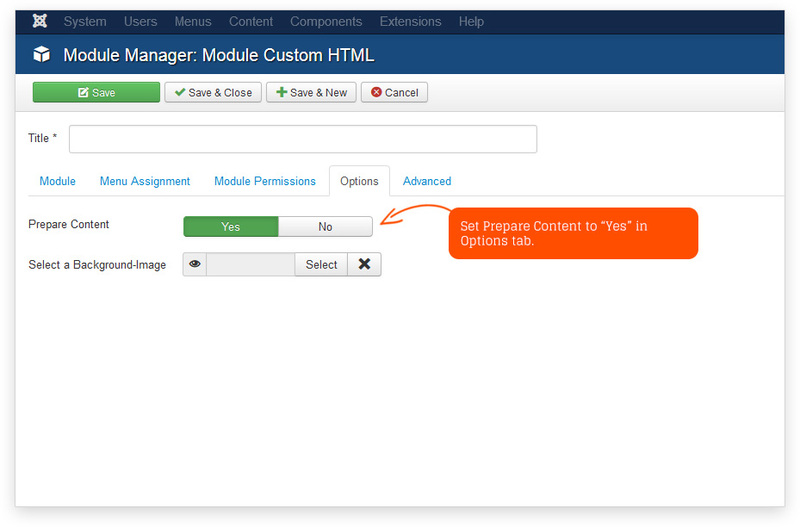 Button on Custom HTML Module, please remember to set Prepare Content to "Yes". 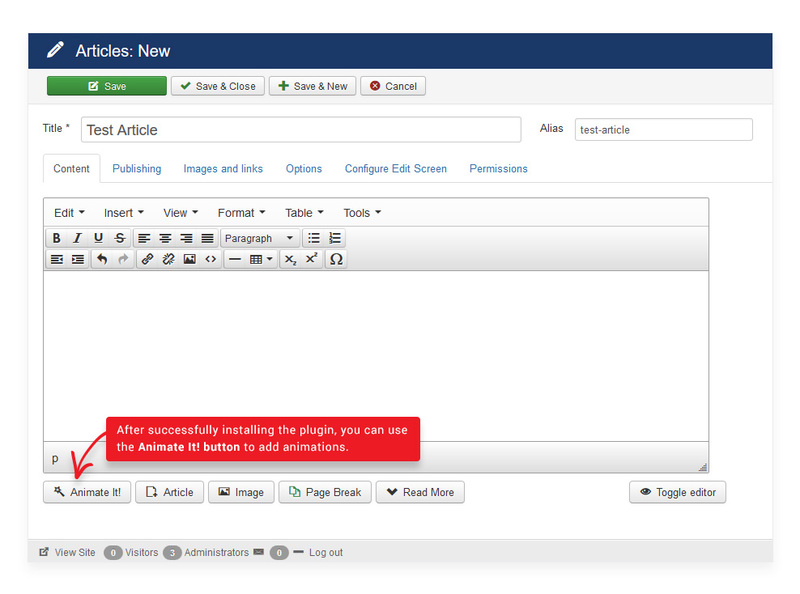 It will render the module as article and the plugin animation will be applied. Look at the screenshot below for more information.